The invite that goes out is clear. Don't bring meat. We'll provide the beer. Just come armed with nothing but the funniest jokes you've ever heard. Shane will take care of the rest. 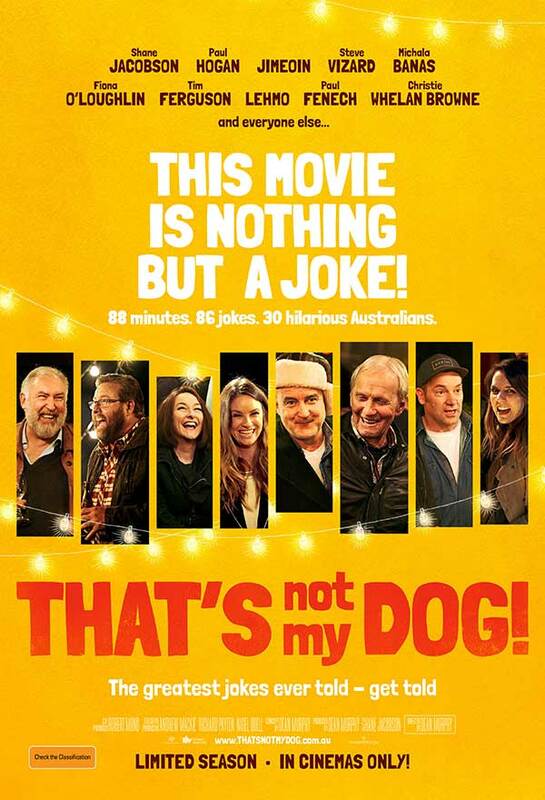 That's Not My Dog is a joyous comedy that celebrates our love of joke telling. Shane throws a party and invites the funniest people he knows, plus a handful of Australian music legends playing their biggest hits live, right throughout the night - a night of great friends telling great jokes.